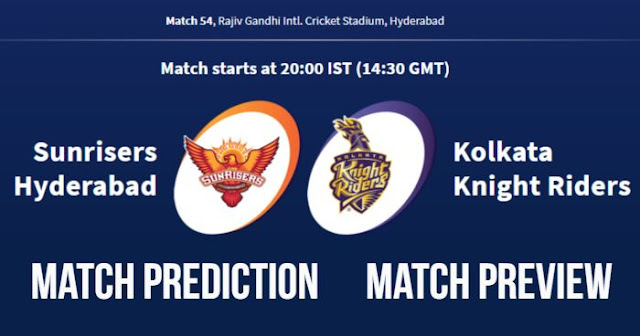 Home / Hyderabad / IPL 11 / IPL 2018 / IPL 2018 Match Preview / Kolkata Knight Riders / Match Prediction / Rajiv Gandhi International Cricket Stadium / Sunrisers Hyderabad / IPL 2018 Match 54 SRH vs KKR Match Prediction, Preview and Head to Head: Who Will Win? IPL 2018 Match 54 SRH vs KKR Match Prediction, Preview and Head to Head: Who Will Win? Sunrisers Hyderabad (SRH) and Kolkata Knight Riders (KKR) will play the 54th match of Indian Premier League – IPL 2018 on 19 May 2018, at Rajiv Gandhi International Cricket Stadium, Hyderabad. This will be their last league match. As far as weather is concerned, it will be a pleasant day with the temperature around 30ºC. There are some nice cracks and that should give some purchase for the spinners. There's plenty of sheen on the surface and that only means it will turn a lot more, but still a good batting surface. The pitch looked sticky during the last match between Sunrisers Hyderabad and Royal Challengers Bangalore. Sunrisers Hyderabad are at the top of the points table with 18 points in 13 matches; 9 wins and 4 losses. On the other hand, Kolkata Knight Riders are 3rd on the point’s table with14 points in 13 matches; 7 wins and 6 losses. Bhuvneshwar Kumar may come back to the team, replacing Basil Thampi after resting for one match against Royal Challengers Bangalore. Piyush Chawla was sitting out in the last match against Rajasthan Royals due to side-strain may be brought in for this match as the slower pitch will be helping spinners. 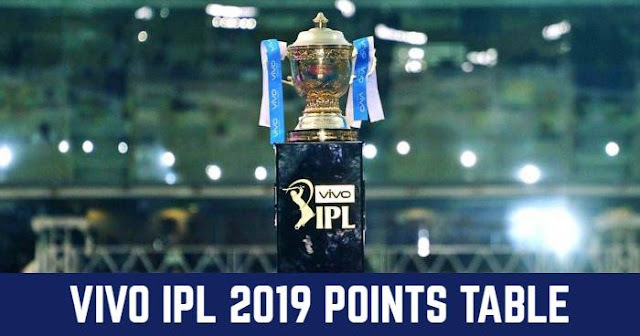 Sunrisers Hyderabad and Kolkata Knight Riders have played 13 matches against each other in IPL, out of which Sunrisers Hyderabad have won 5 matches and Kolkata Knight Riders have won 8 matches. In last 5 matches between Sunrisers Hyderabad and Kolkata Knight Riders, Kolkata Knight Riders have won 2 matches and Sunrisers Hyderabad have won 3 matches including the last match in IPL 2018. At Rajiv Gandhi International Cricket Stadium, Hyderabad; Sunrisers Hyderabad and Kolkata Knight Riders have played 4 matches and won 2-2 matches each. Sunrisers Hyderabad prefers defending total with their top class bowling attack and would like to bat first after winning the toss. On the other hand, Kolkata Knight Riders would like to chase on this ground. Pitch is on the slower side, 160-165 will be a decent total on this ground to defend. Sunrisers Hyderabad were the first team to qualify for the playoffs. After winning 6 consecutive matches, they lost their last two last matches against Chennai Super Kings and Royal Challengers Bangalore. Sunrisers Hyderabad have only lost 1 match at home in Hyderabad in this season of 6 played. Kolkata Knight Riders are just one win away from playoffs, even a tie point will make Kolkata Knight Riders in playoffs. In our prediction, Sunrisers Hyderabad are more likely to win this match. Toss: Sunrisers Hyderabad won the toss and elected to bat first. Playing XI for SRH: Shikhar Dhawan, Kane Williamson (c), Manish Pandey, Deepak Hooda, Shreevats Goswami(wk), Shakib Al Hasan, Rashid Khan, Bhuvneshwar Kumar, Siddarth Kaul, Sandeep Sharma, Carlos Brathwaite. Playing XI for KKR: Chris Lynn, Robin Uthappa, Dinesh Karthik (c & wk), Nitish Rana, Andre Russell, Shubman Gill, Sunil Narine, Piyush Chawla, Kuldeep Yadav, Prasidh Krishna, Javon Searles.